Yesterday was one of those days that I really tried to do more than I could handle. Well, lately, most days kind of go that way, but yesterday especially. I knew I needed to do a test run on some two-ingredient fudge to decide if it was going to be added to my holiday baking list. So, after lunch, I settled Grace down to watch a Christmas special and I whipped up a batch of fudge. Of course, leave it to me to run into a jam while preparing such a simple recipe. I needed to line to my dish with foil and I had just used up the last of our roll when I wrapped up the leftovers from lunch. But I had already started to melt the chocolates, so there really wasn't any turning back. I decided to just give it a go without lining the pan. Figuring if it didn't come out of the pan nicely, it didn't really matter since it was just a test-run and really only Joe and I would see the ugly mess. This was more of a trial to test out the taste and texture which, in the end, were perfect! Since I was having a heck of a time cutting and serving pretty little squares of fudge from the dish, I decided to just scrape some out and roll into balls to form truffles! What a perfectly delicious solution to my kitchen mishap! Melt your chocolate either in the microwave or double boiler. Stir in marshmallows if using. Remove from heat and stir in the frosting. Spread the mixture into an 8x8 pan. 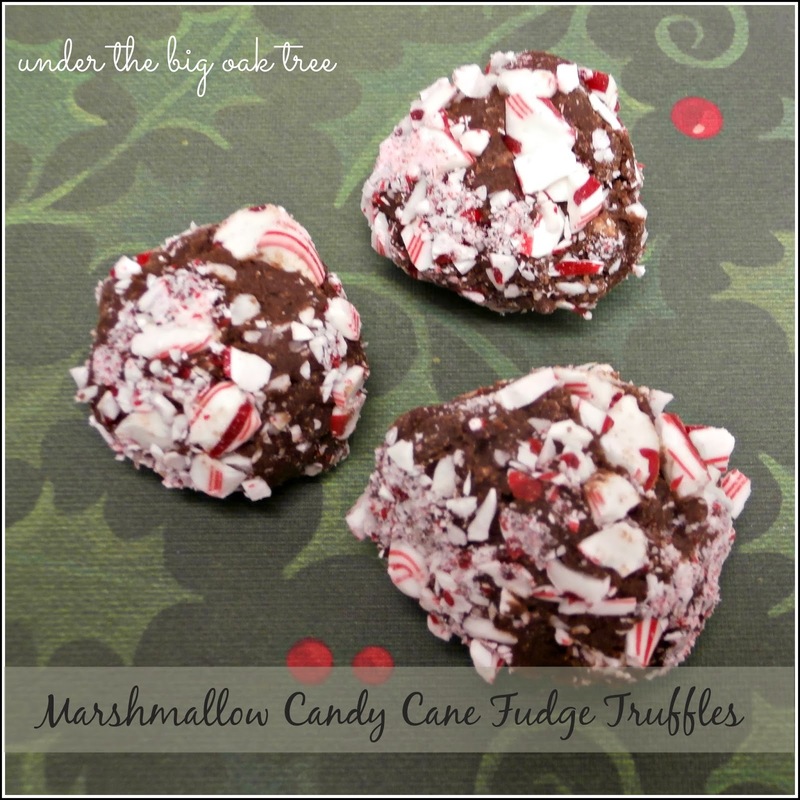 Sprinkle the crushed candy cane over top and press slightly into the fudge. Allow to set in fridge for 1/2 an hour to an hour. 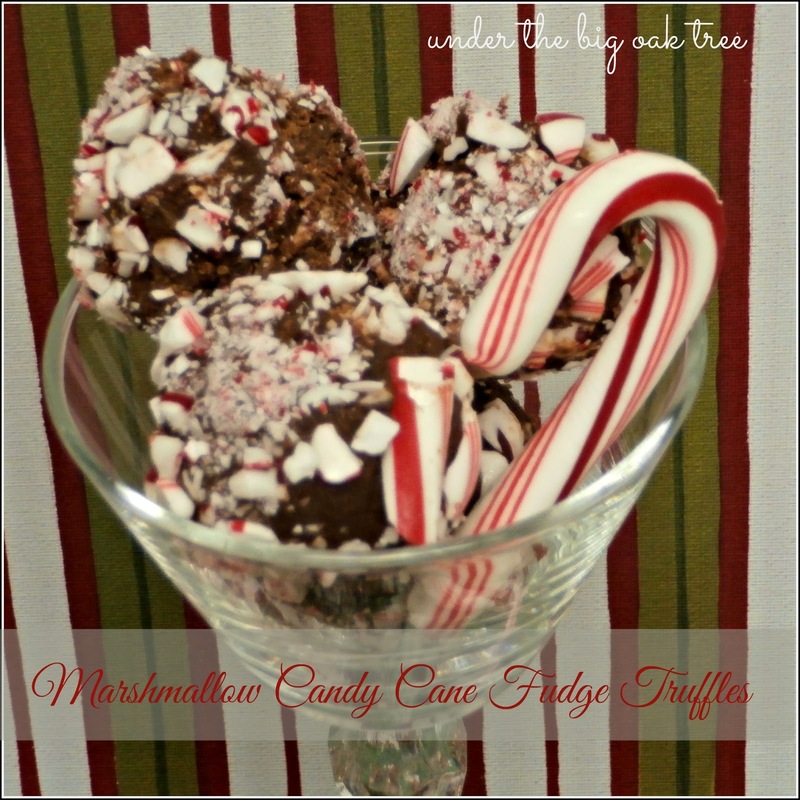 Using a spoon, spatula, or ice cream scoop, scrape the fudge from the pan and roll into balls about an inch in size, then roll the balls into more crushed candy cane. A Few Reasons You Should Join ibotta Now!